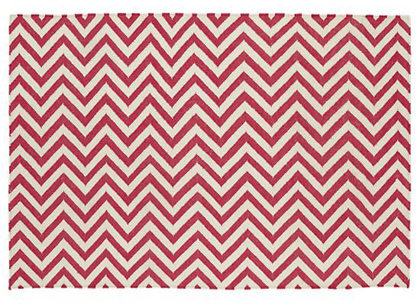 Add graphic style to any space with this Pink Chevron Patterned Rug. Flat weave construction. Made from 100% cotton. $179-$599. Buy here.